If you’re familiar with Japanese horror, you’ve probably heard about the work of Junji Ito—the author behind viral horror stories like The Enigma of Amigara Fault and Uzumaki. Now, some of his most famous spooky tales are being adapted into a new anime anthology show. 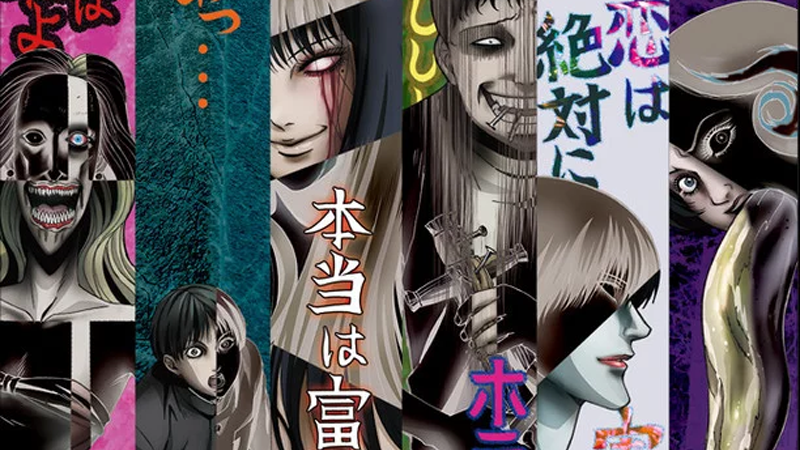 Suitably named Junji Ito “Collection”, the anime will be directed by Shinobu Tagashira, and will adapt tales from Ito’s Masterpiece Collection as well as his more recent horror collection, Fragments of Horror—with details of exactly which stories being kept under wraps to surprise fans as the series develops. But if the poster released for the announcement is anything to go by, some of Ito’s most famous series, like Tomie, could find themselves making appearances in the show. Sadly, you’ll have to wait a while to see “Collection”, and are probably best left thumbing through Ito’s classic manga if you want your thrills and chills right now—the anime won’t air until January 7 on Japan’s Tokyo MX. If you find a person-shaped hole carved into a cliff side, do not go in there.